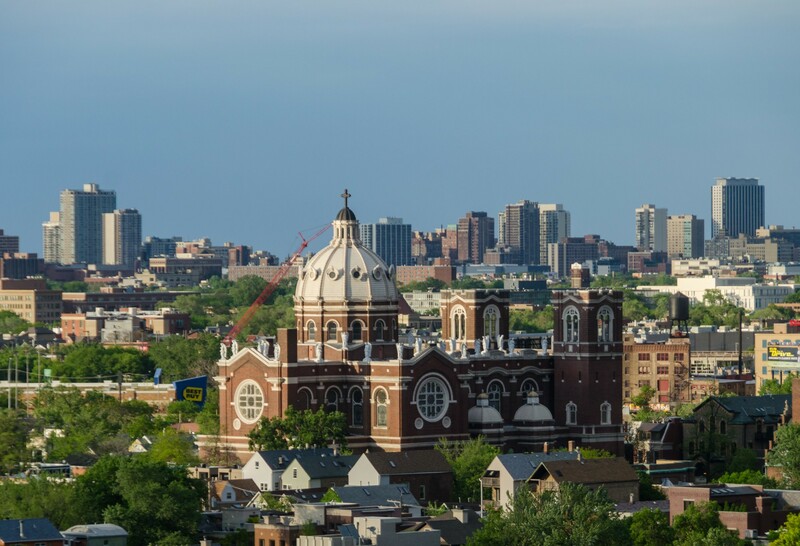 St. Mary's eye-catching white dome, visible from the Kennedy Expressway, resembles St. Peter’s Basilica in Rome. 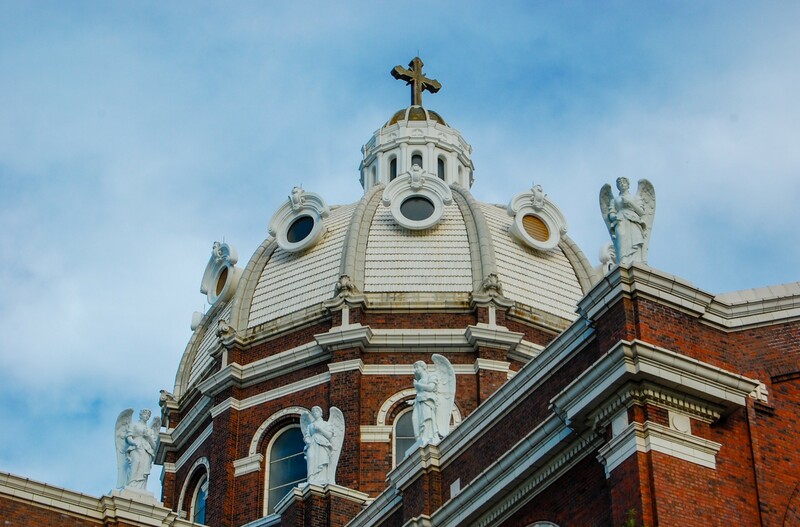 The Renaissance-Revival building’s terra cotta heights host a multitude of angels. 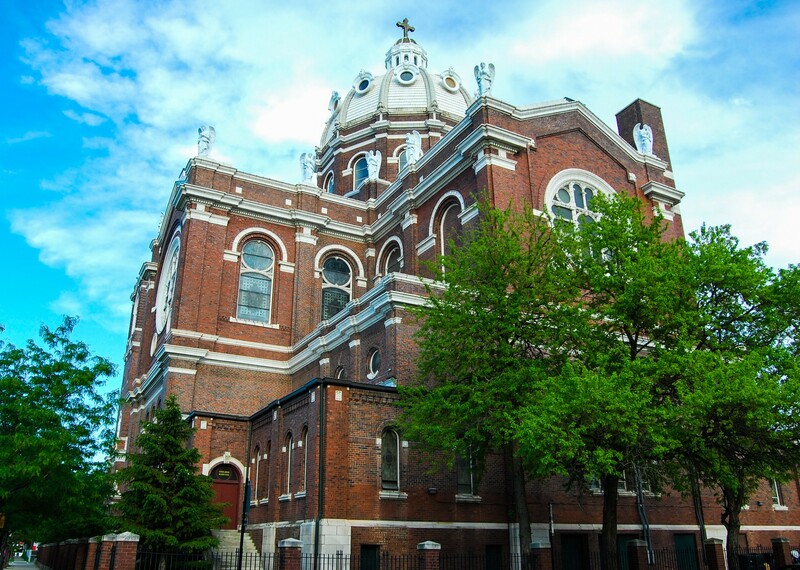 Polish-American parishioners financed this exemplary “Polish Cathedral” with generous donations and even by mortgaging their homes. 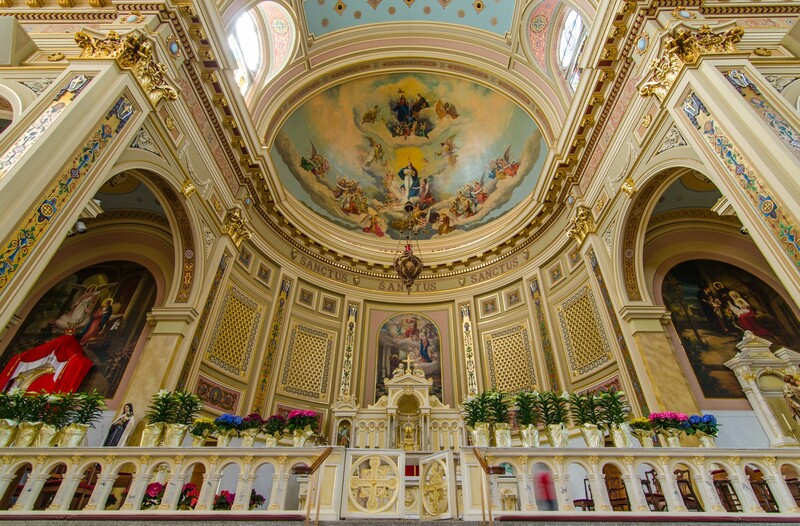 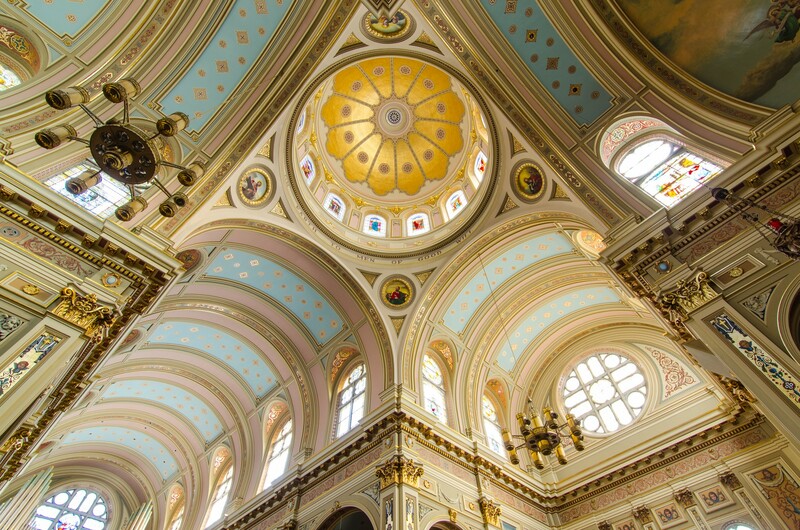 The sanctuary, pink with blue and gold accents, is every bit as stunning as the exterior. 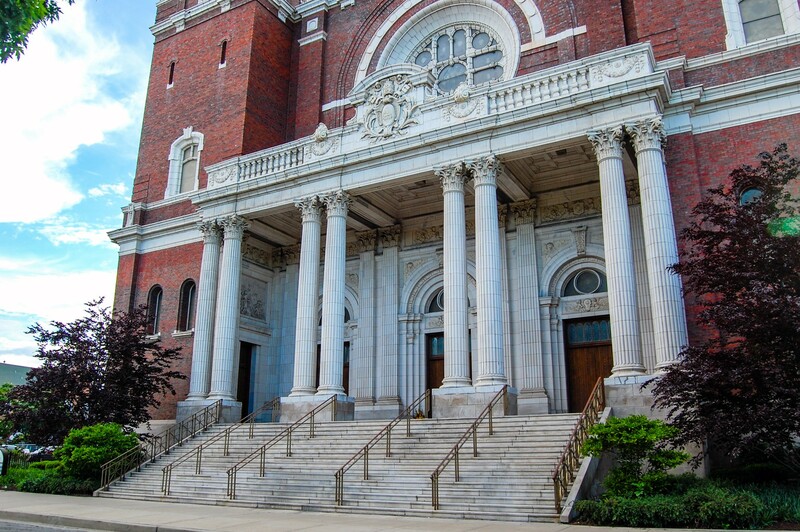 Since saving the church from demolition in 1991, Opus Dei priests have led the parish through a period of ethnic change and gentrification. 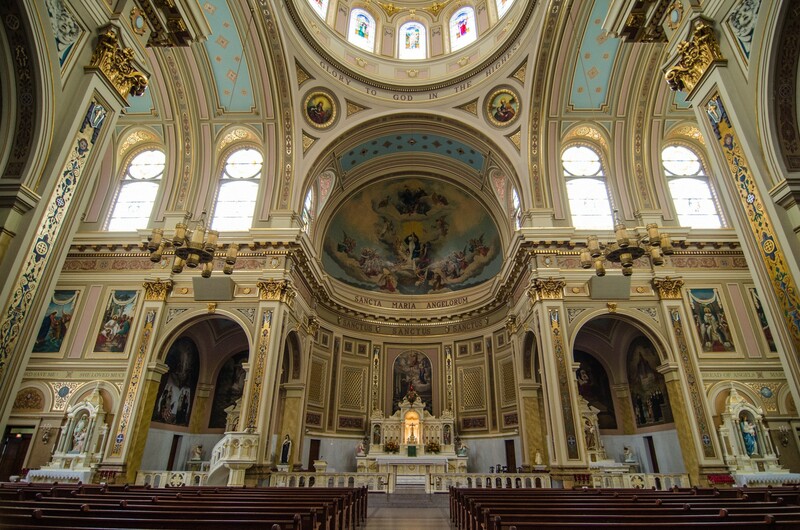 They have undertaken numerous projects to continue the restoration of the church.